This ultra glam mini dress is crafted from a lustrous rich heavyweight satin. 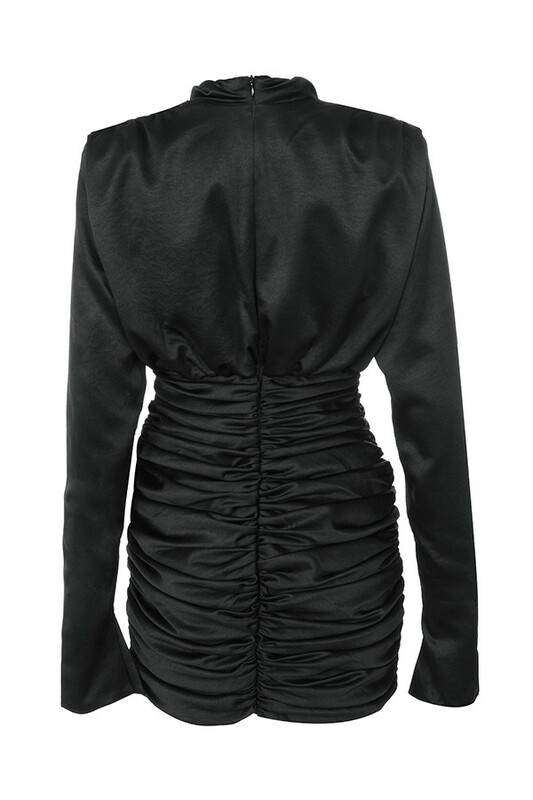 It features structured shoulders, a flattering draped front, long sleeves with wrist slits and a ruched draped skirt. 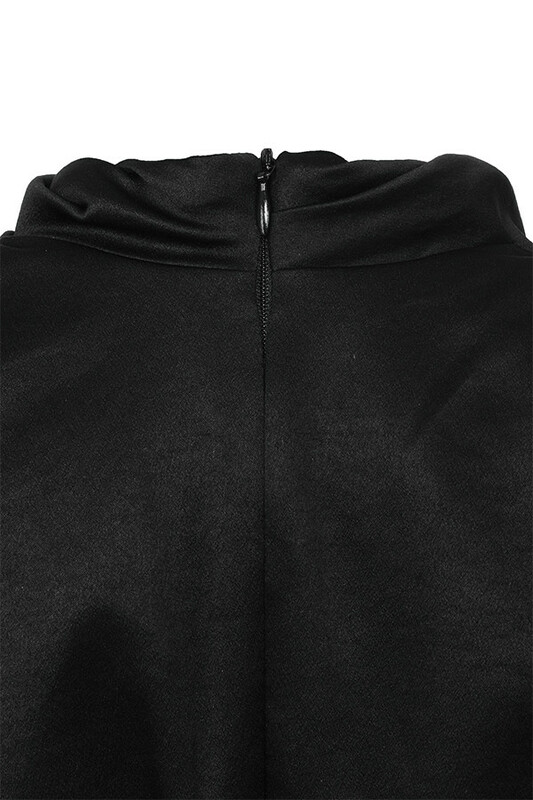 'Giorgiana' is fully lined for a better drape and because for us it's Quality over Everything. The shorter skirt cut flatters the legs and we love this teamed with our black 'Paris' suede pumps. 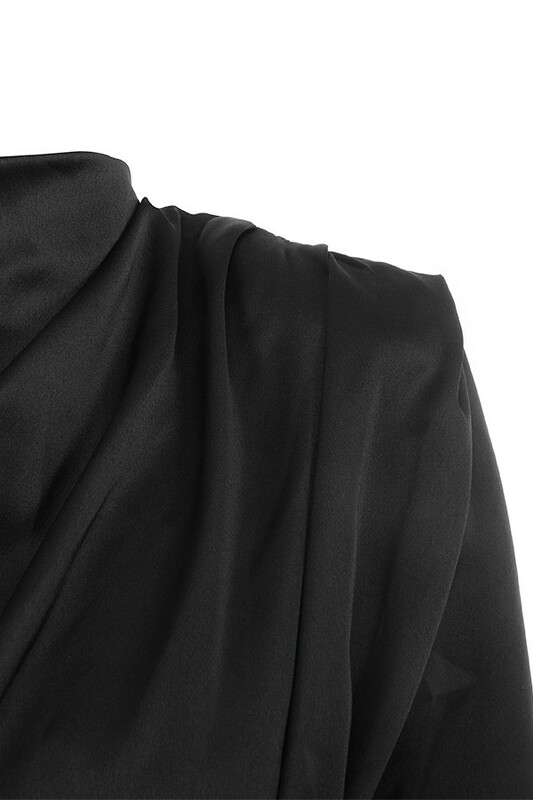 Made from heavyweight stretch satin.